Almost three thousand years ago, a small group of ancient Israelite literati wrote the major narrative that spans the biblical books of Genesis through Kings, creating what may be called the world's first history. The narrative focuses on the people of Israel, but because the history of Israel constantly intersected with the surrounding countries, the Bible gives us a veritable tour of the ancient Near East. Great powers such as Egypt, Assyria, Babylon, and Persia, and lesser powers such as the Philistines and the Phoenicians, all make an appearance in the Bible's pages. Professor Gary Rendsburg, the Blanche and Irving Laurie Professor of Jewish History at Rutgers University, will present both the evidence from the Bible and the wealth of archaeological data, with an eye to evaluating these two sources and to determining the manner in which they inform each other. Professor Gary Rendsburg holds the Blanche and Irving Laurie Chair in Jewish History at Rutgers University. He served as chair of the Department of Jewish Studies and also holds an appointment in the History Department. Professor Rendsburg’s areas of special interest include literary approaches to the Bible, the history of the Hebrew language, the history of ancient Israel, and the literature and culture of ancient Egypt. 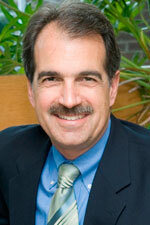 Dr. Rendsburg is the author of five books and over 100 scholarly articles. His most popular book is a general survey of the biblical world entitled The Bible and the Ancient Near East, co-authored with the late Cyrus H. Gordon (1997). He has visited all the major archaeological sites in Israel, Egypt, and Jordan; and he has participated in excavations at Tel Dor and Caesarea. In addition, he has lectured around the world, including Europe, Japan, and Australia.